If you’ve spoken to us in store, you might have realised that we’re big DIY fans and we like making things ourselves that you’d normally just buy. This doesn’t just apply to booze, and we like making pickles, jams, cheeses, sausages and more. 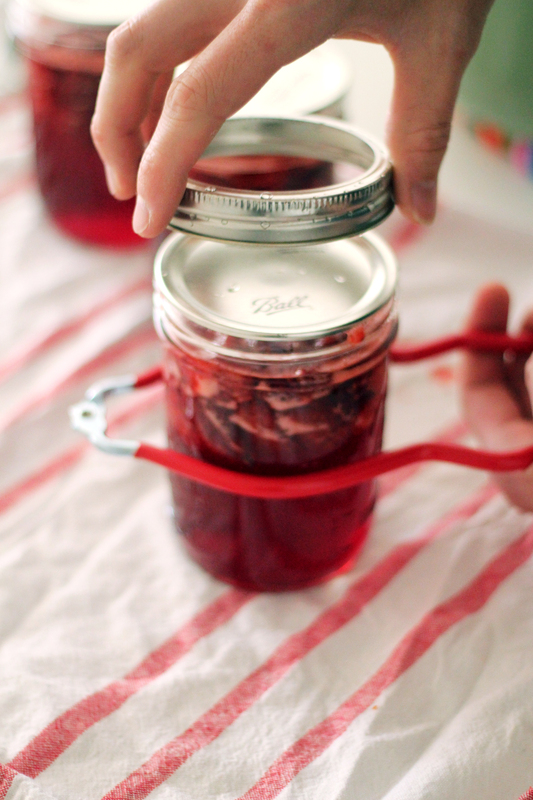 Jam’s are surprisingly simple to make and taste better than what you’d typically buy at the store, plus you know they’re free of preservatives and artificial flavours. This will make 4 x “half pint” jars, but you can scale up or down accordingly. 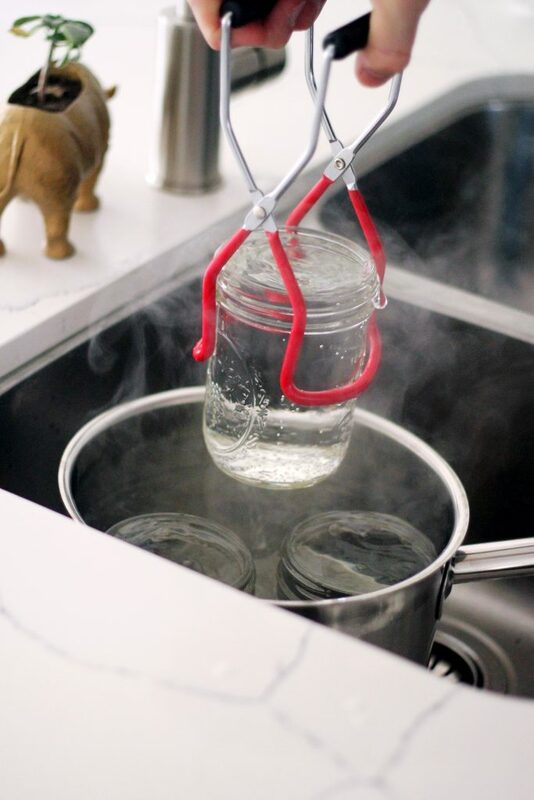 Sterilise jars by placing them in the large stockpot filled with warm (not hot) water. Preheat oven to 90c. Slowly bring the stockpot to the boil and boil jars for around 10 minutes. Use the jar lifter to remove and empty the jars and place them in the oven – this keeps them sterile while doing other parts of the process. Switch the heat off on the stockpot but keep the hot water handy for later. 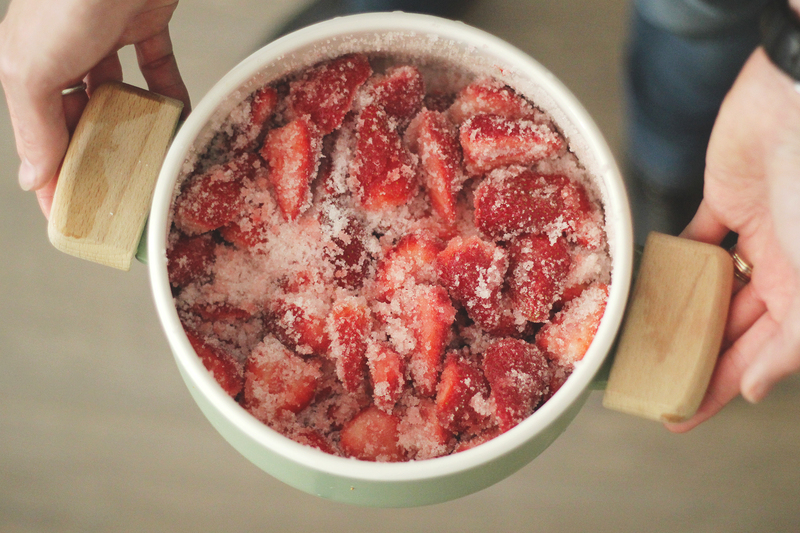 Put the fruit into the medium stockpot with the sugar and mix with a spoon. 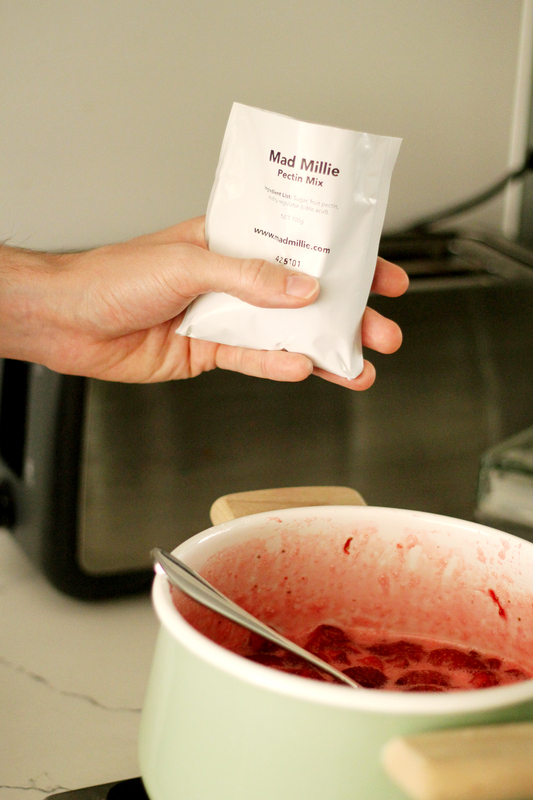 Leave this mix for an hour or two for the liquid to be drawn out which will form a syrupy paste. Bring the sugar fruit mix to the boil. You need to hit a temperature of 105c which should be possible due to the amount of sugar in the mix. Boil vigorously at 105c for a few minutes, keep stirring to avoid boiling over. Add the pectin mix sachet and stir through, and keep boiling for one minute. Remove from heat. Bring the large stockpot of water back to a boil, then switch off the heat. Dip your ladle and the filling funnel in the hot water for a few moments to sterilise and drop in the jar lids. 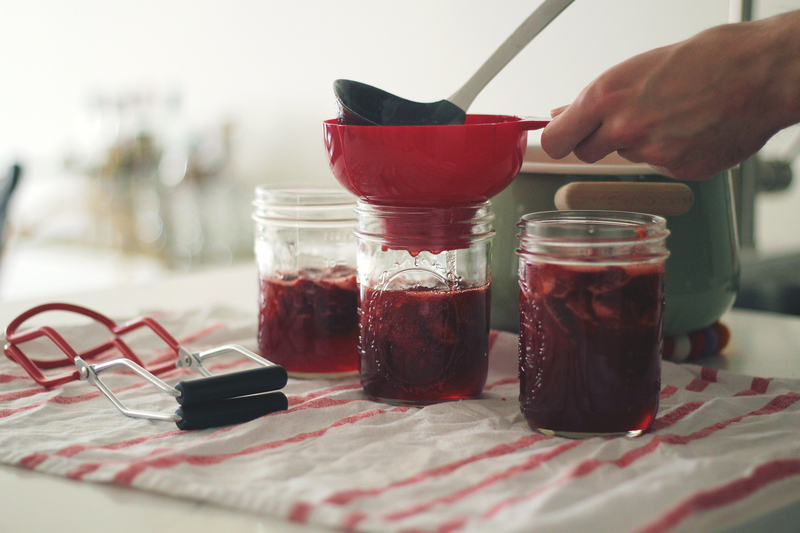 Use the ladle and funnel to fill your jars (not quite to the very top – leave a little headspace). 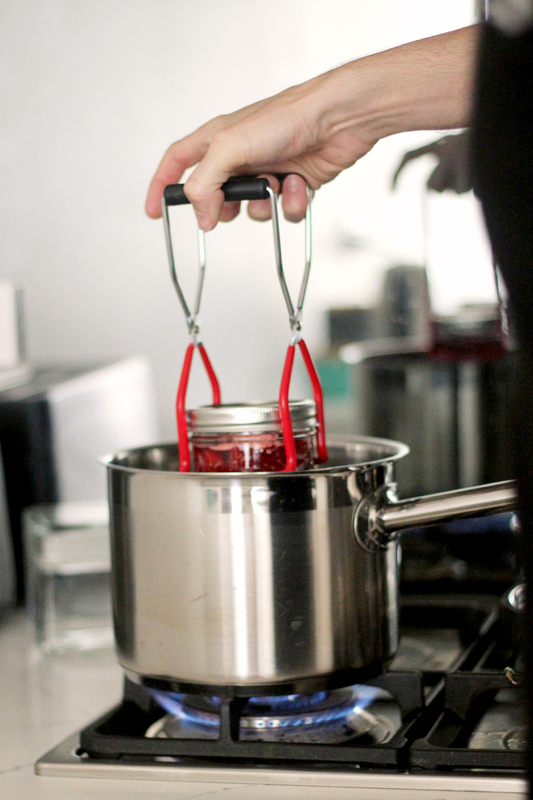 Use the magnetic stick to pick up the jar lids and place them on the jars, and then add the jar rings loosely. Use the jar lifter to place the jars into the hot water. The water should be approximately 90c. Let the jars sit for 5 minutes, then remove using the jar lifter. Use the jar wrench to tighten the bands and leave the jam to cool. Turn the jars occasionally while still warm so the fruit mixes through. Let us know if you try this recipe! Tag us on instagram @thehopandgrain.